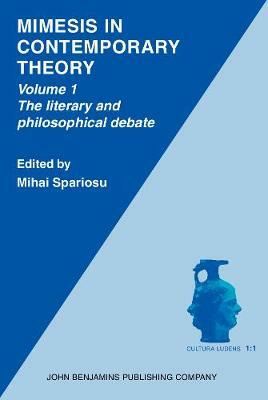 After almost two hundred years of relative obscurity mimesis finds itself again in the limelight of Western theoretical discourse. In the Anglo-American tradition, mimesis or `imitation' regained some prominence, at the turn of the century, through S.H. Butcher's translation of and introduction to Aristotle's Poetics, and , in the thirties, through the work of the Chicago school, also centered around Aristotle. More recently, mimesis looms large in the work of Auerbach, Burke and Frye. But it is only in the past decade or so, with the publication in France of the work of Barthes, Derrida, Girard, Genette, and some of their collaborators, that mimesis has again become an object of heated controversy on both sides of the Atlantic. The present collection is designed not only to bring fresh points of view to the current debate, by drawing in other theoretical developments beside the Anglo-American and the French, but also to explain why mimesis has so stubbornly haunted our civilization.